If I was writing this ten years ago, I would have said that even though I loved New Orleans, there was a long list of reasons why New Orleans, at least on paper, might have been the worst city in America. Crime was terrible, public education was a mess, the streets were filled with potholes. The weather was brutally hot and humid for six months of the year. Some wealthy locals could be incredibly snobby. And you felt that whoever was responsible for infrastructure, or the running of the government, was corrupt, inept, intellectually handicapped, or all three. All those things continue to be true, sort of. But in 2014 New Orleans really seems to be moving forward. Maybe Hurricane Katrina, despite all the property destruction and shattered lives, shook up the social fabric a bit, and encouraged people to move forward. All over the city, you can see things happening, new things starting up, neighborhoods becoming revitalized. You get the feeling that smart and interesting people are moving to New Orleans, rather than the reverse. Sensually, New Orleans remains a magical place. It has more soul than anywhere in America. 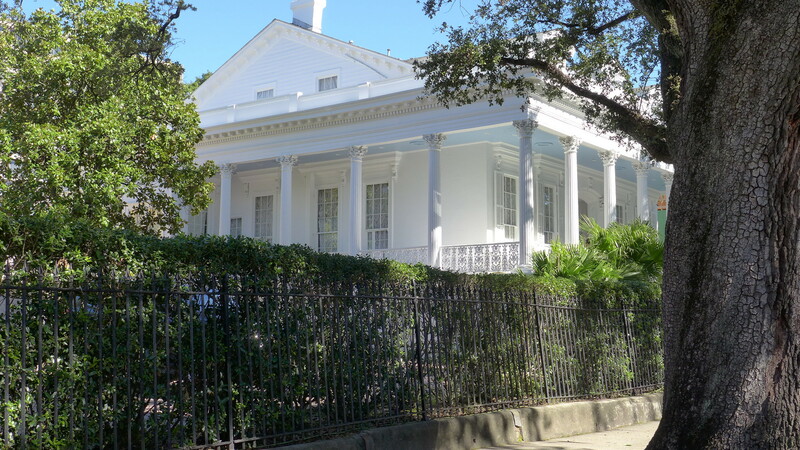 The architecture mixed with the live oaks is so beautiful that sometimes I just want to cry. I had flown to New Orleans for a business trip, meeting Tootie two days later and she stayed with me for the weekend. Because we now sometimes have access to short term apartment rentals with our friend Kirk, I UPS’ed two bicycles to permanently store at Kirk’s house. 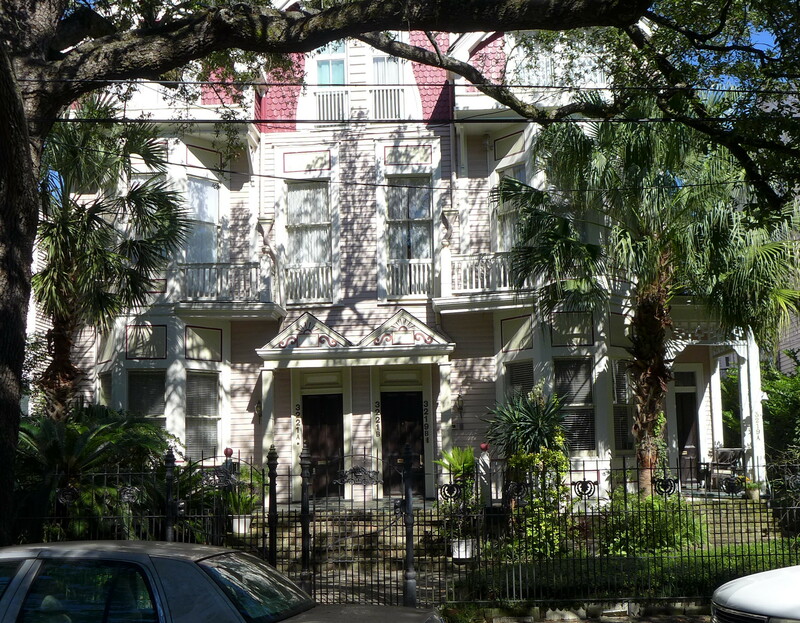 I took a long bike loop around the city on a Sunday morning, starting and ending on Prytania Street in Uptown. Yes, Uptown is now so scrubbed that hipsters deride it as too yuppie (bumper sticker seen on a car that morning: DOWNTOWN IS THE NEW UPTOWN). All of Uptown is a huge area, about five miles long and a little more than a mile wide, densely packed with wooden nineteenth and early twentieth century buildings. 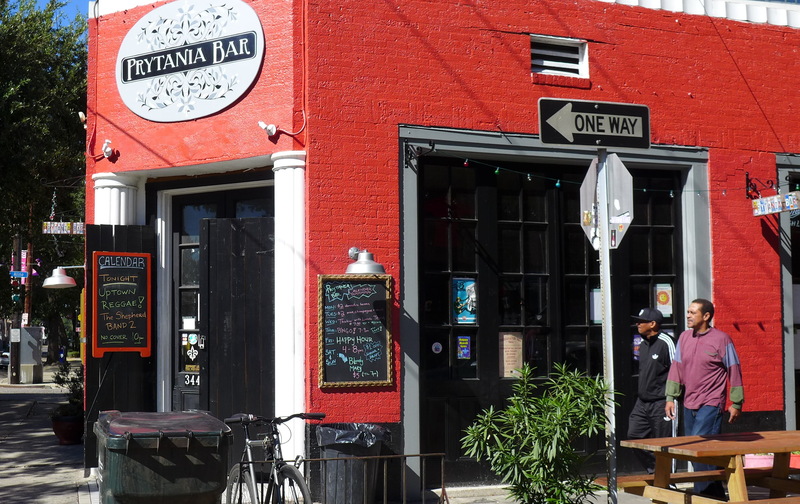 Prytania is just one of dozens of picturesque streets in New Orleans. Normally it is too narrow for pleasant cycling, and I would cycle on parallel St. Charles Avenue. On this Sunday morning, traffic was light, and I got to look at a street that I had not examined carefully for a while. It extends from the Mississippi River Bridge on the edge of downtown, for four miles upriver to just before Audobon Park. 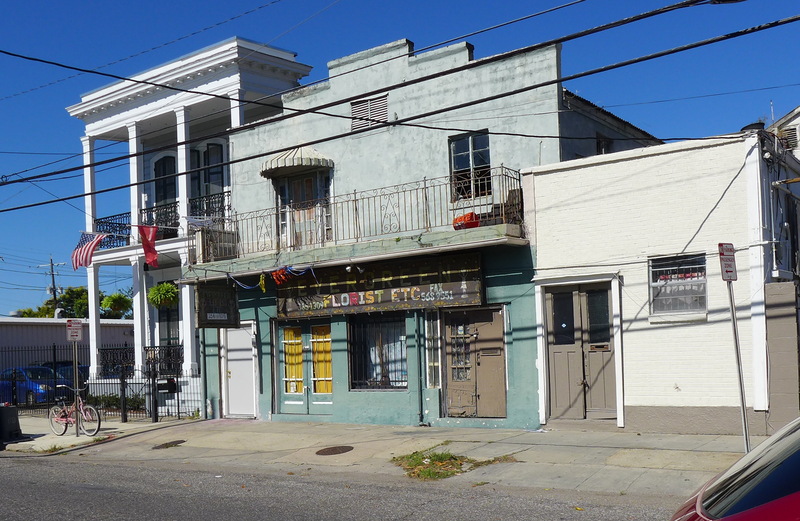 All these pictures are of buildings actually on Prytania Street. 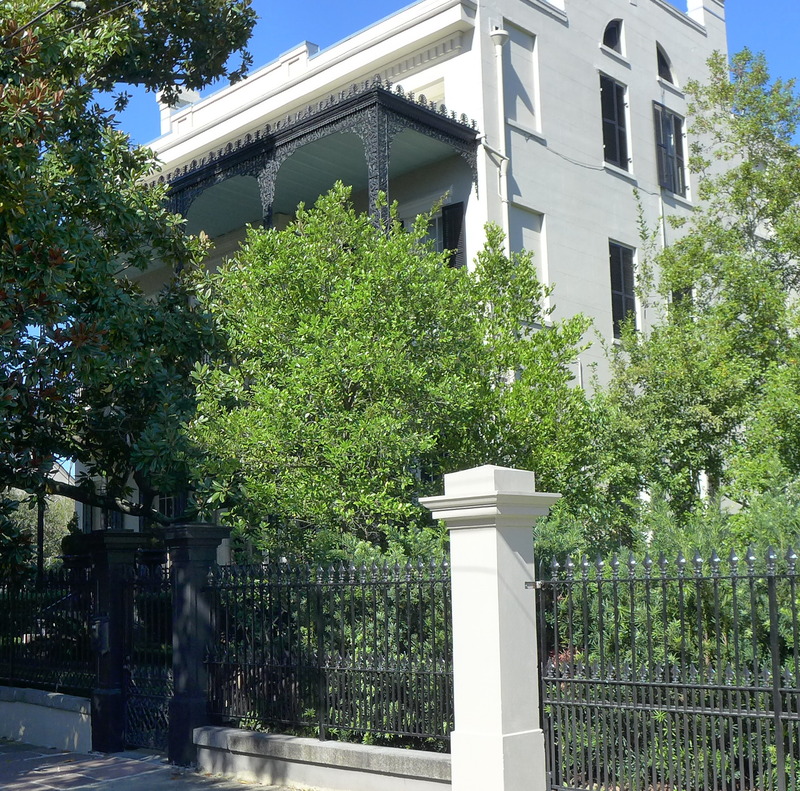 Prytania begins in the Lower Garden District, an area that was dangerous when Tootie and I lived in New Orleans in the eighties. The area now seems much safer. The park at Coliseum Square, which is near the picture below, is full of families instead of drug dealers. 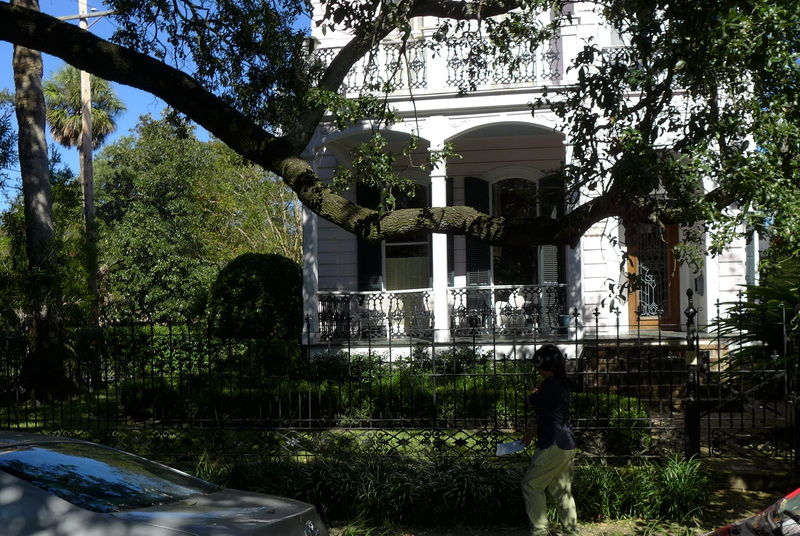 Prytania then crosses Jackson Avenue. 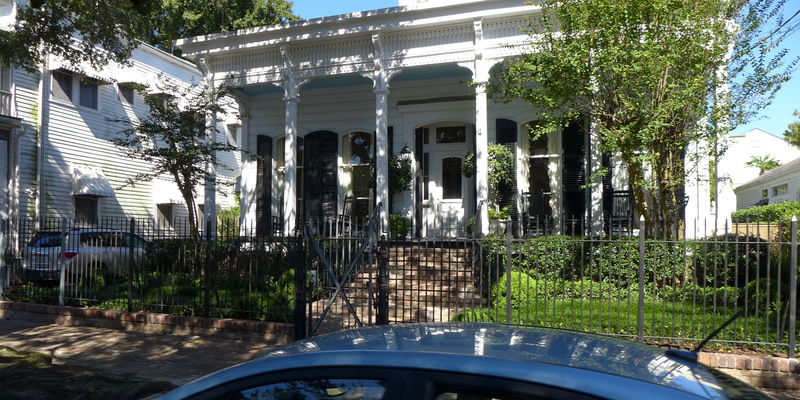 The twelve block stretch from Jackson to Louisiana Avenues is the Garden District. 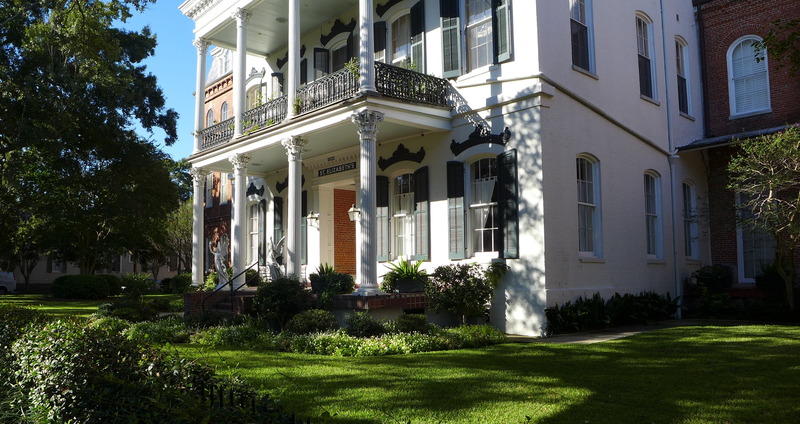 This area is a tourist draw, since there are huge houses mostly built before the Civil War. 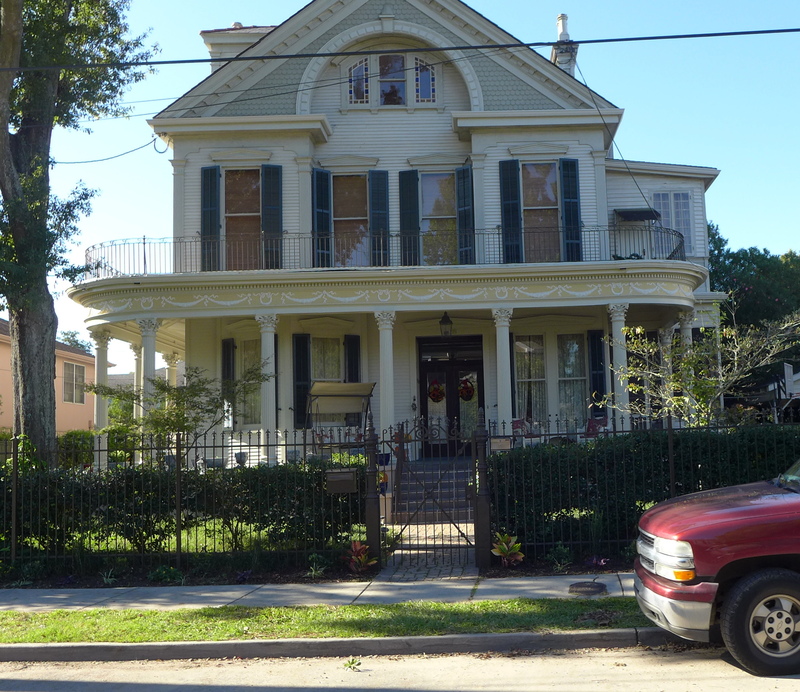 Most of the big houses are on the cross streets, but you can see some of them on Prytania. 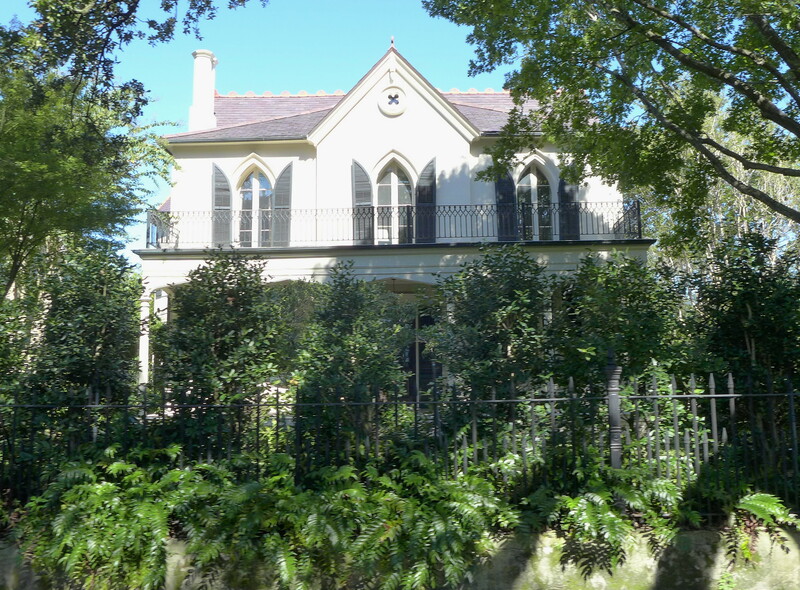 In the center of the Garden District, the street passes by Lafayette Cemetery No. 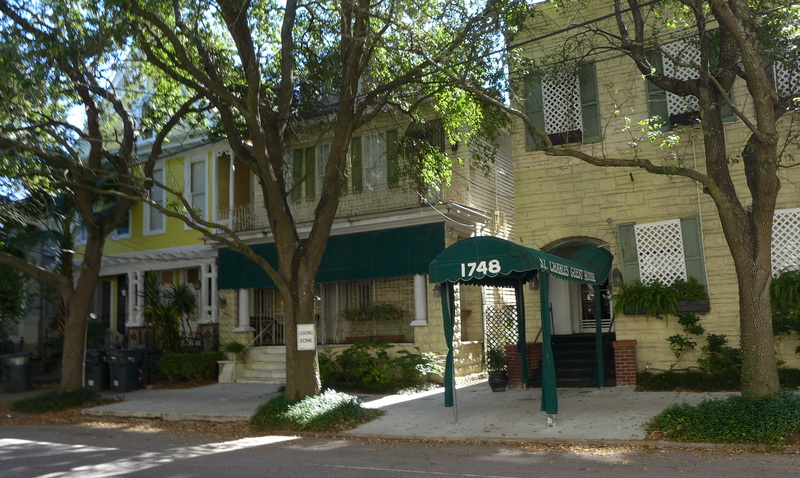 1, which predates most of the neighborhood and occupies one square block. It was included in several Anne Rice novels, mostly concerning witches. 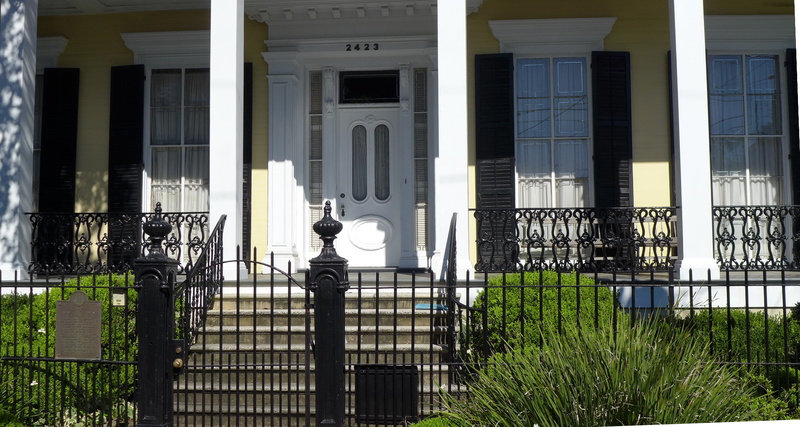 Prytania Street is primarily residential. 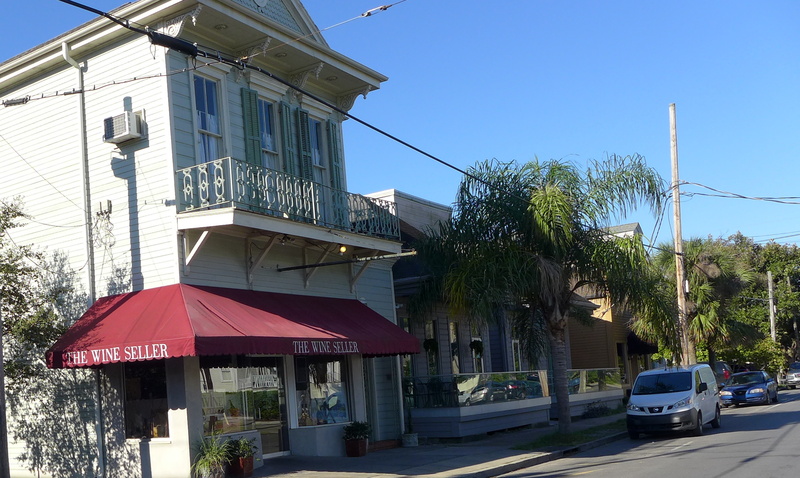 However, after it crosses Louisiana Avenue, there are several commercial strips. 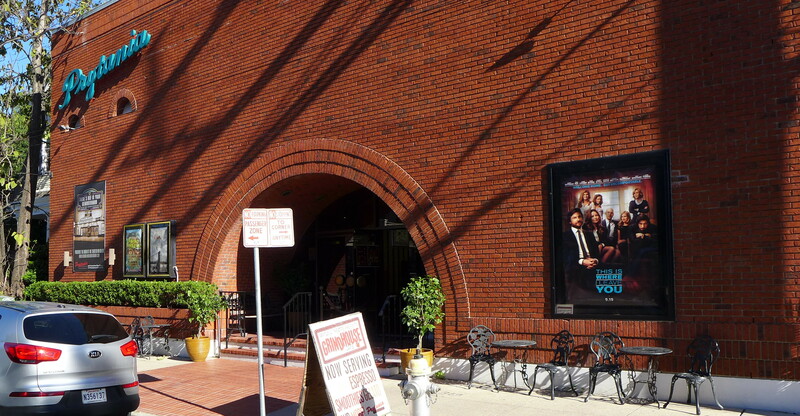 The Prytania Theater is the inspiration for the 1961 Walker Percy novel The Moviegoer. Prytania passes through the middle of Touro Infirmary, a major hospital. 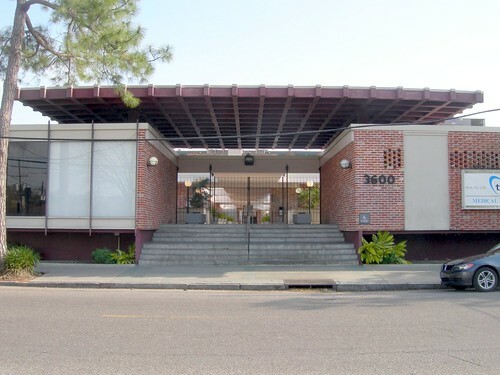 New Orleans actually has some wonderful mid-century modernism, including this doctor’s office building from 1960, across the street from the hospital. As you bike up the road for the next couple of miles, buildings gradually become newer, and morph into the twentieth century.